Solar-powered cameras give a glimpse of what's happening in a rural work zone, even when no workers are present. A variety ITS tools are being deployed on 28 high-traffic work zones on state-managed highways for the 2018 construction season. 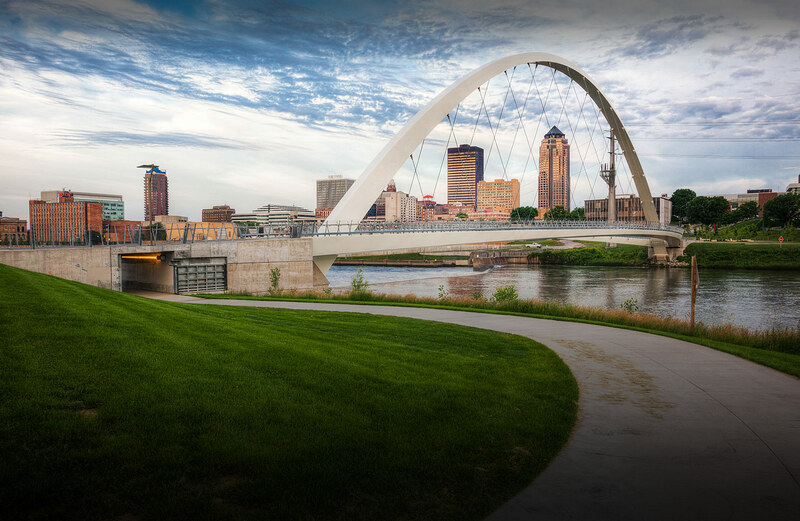 The tools being used include traffic sensors and cameras that can monitor the areas 24/7, sending data on traffic speeds, queue length and images to our Traffic Management Center in Ankeny. Operators in the TMC can then put out messages to the public through dynamic message signs along the road, the 511 system and on Twitter and Facebook alerting the public to issues that might impact them. Live video from the cameras can also be viewed at www.511ia.org. Keeping traffic flowing is the goal of any transportation system, but it can be a challenge in a work zone that has heavy traffic. One of the most visible safety features in intelligent work zones is the automated queue detection and warning systems. The queue detection systems use speed data from both permanent and portable traffic sensors and then automatically post warning messages to dynamic message signs. “With our queue detection systems, the sensors detect slow traffic speeds and then automatically post messages to the signs to warn motorists if there is slow or stopped traffic ahead,” said Simodynes. While all this technology is certainly helping get you through major work zone quicker and safer, no amount of roadside technology can replace a careful driver. When you see work ahead, give your full attention to the task of driving, slow down, and leave plenty of space between vehicles. We all want to make it home at the end of the day. While working with drilling consultants I've encountered where the flaggers are mistreated and as a result can't do their job well. Standing in hot sun in head to toe plastic, receiving no breaks, and no possibility of going to the toilet is cruel and unusual punishment not employment. When you can't go to the toilet people stop drinking water. You get dehydrated and tired. Twice I've had the flaggers directing traffic on the one lane bridge I was working on were unable to take a break. They worked all day, hour after hour with no idea when the day will end. Unable to put their sign down. Myself, the work crew, and the traveling public was put in danger and the health of the flaggers was threatened. Congratulations to Iowa DOT for its innovation and creativity in traffic management all a across Iowa!